The library, a program of the Telluride Institute, contains over 11,000 volumes, many of them first editions. It is located on Colorado Avenue next to Ghost Town Grocer. The Clute Science Fiction Library is intended to be a place of excellence for scholars, writers and researchers, according to Pamela Lifton-Zoline, vice president and founding trustee of the Telluride Institute, a nonprofit that works to enrich “the health of environments, cultures, and economies,” according to the organization’s website. The volumes were a private collection belonging to John Clute, an award-winning author, essayist and editor of “The Encyclopedia of Science Fiction.” Clute contributed over 2 million words and thousands of entries to the encyclopedia. Clute, who resides in England, has been a trustee of the Telluride Institute since its inception in 1985 — but he has been friends with Lifton-Zoline since high school, where she remembers meeting him in their French class. (2) THE MUSIC INSIDE YOU. Articles that reference Diana Pavlac Glyer’s Inklings research in Bandersnatch don’t usually begin with a great big photo of Beyonce and a hook about the Grammys. The exception is Jeff Goins’ “Why You’ll Never Do Your Best Work Alone”. …Beyoncé’s detractors believe geniuses work alone, but history and modern research both suggest not…. Embracing that reality, rather than resisting it, can actually encourage creativity itself by helping us find like-minded creatives to collaborate with. If anything, our success is contingent on our ability to work well with others—which may be just one reason why employers seem so desperate lately to hire people with high emotional intelligence and interpersonal skills. Of course, we need to spend significant amounts of time alone with our craft. But we also need significant amounts of time with people who can guide us in doing better work. Amid the masses of strangers gathered to protest at the Boston Women’s March, I spotted something familiar: that shield — red, white and blue — a simple design that holds the weight of so much conviction. Captain America’s iconic getup caught my eye, not only because of the principles it stands for but because he reminds me of another hero of mine. On Dec. 20, 1940, a year into World War II, my grandfather Joe Simon and Jack Kirby, both sons of Jewish immigrants, released the first issue of “Captain America.” The cover featured Cap slugging Adolf Hitler . Because the United States didn’t enter the war until late 1941, a full year later, Captain America seemed to embody the American spirit more than the actions of the American government. (4) BACK TO THE BEAR FLAG. David Klaus sent the following link with a comment: “I have been saying for twenty years that Heinlein accurately predicted an eventual balkanization of the U. S., particularly a ‘California Confederation’ made up of today’s California, Oregon, and Washington ad depicted in Friday — although Northern California is probably more likely to band with the two other states while Southern California will set apart on its own.” — “’California is a nation, not a state’: A fringe movement wants a break from the U.S.”, in the Washington Post. About 15 people huddled in a luxury apartment building, munching on danishes as they plotted out their plan to have California secede from the United States. Sweaty onlookers from the gym across the hall peered in curiously. Bolstered by the election of President Trump, the group, Yes California, is collecting the 585,407 signatures necessary to place a secessionist question on the 2018 ballot. Its goal is to have California become its own country, separate and apart from the United States. (5) EXPANDING HORIZONS. The Everyone: Worlds Without Walls Kickstarter reached its minimum goal in the first five days. Since then editor Tony C. Smith has announced the addition of a story by Lavie Tidhar, and now a previously unpublished story by Ken Liu. Several readers…wrote to say it was the Washington Star’s Tom Dowling who was canned for a pan — not of the first film, but its sequel, “The Empire Strikes Back.” True? Was it corporate embarrassment that got Dowling the ax? Hard to prove. Dowling said that years later, at a reunion of Star employees, a former editor sidled up and told him that Time magazine had a “secret interest” in the movie and executives were worried his pan would discourage people from going to see it. “I have no idea if that was true,” Dowling said. By 1967 Allen Lane was harbouring deep misgivings about the direction Tony Godwin was taking Penguin with regard to the marketing and distribution of fiction. 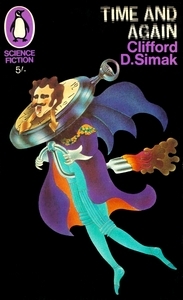 Lane felt that the covers being designed by Alan Aldridge et al. were becoming too commercial and increasingly tasteless. To Lane such covers were undignified and not in keeping with Penguin’s reputation. Worse still, the use of images he regarded as titillating or even offensive was an insult to the books’ authors, some of whom were now making their own feelings known, with more than one threatening to move to another publisher. Matters were made worse by Godwin’s desire to sell Penguin books in non-traditional outlets such as supermarkets. Lane disliked the idea and as booksellers joined authors to protest at the way Penguin was heading so the rift between the two men deepened. To Lane, Aldridge’s ‘vulgar covers’ and Godwin’s ‘gimmicky selling’ were a threat to over thirty years of Penguin tradition and brand identity. If left unchecked it would only be a matter of time before the books were being packaged and sold just like any other consumer product. The crisis came to a head in late April and early May, with a boardroom bust-up that resulted in Godwin’s departure and Lane’s barbed comment that ‘a book is not a tin of beans’. February 19, 1912 – Prizes are included with Cracker Jacks for the first time . (9) A ROOM OF KIRK’S OWN. A Boca Raton mansion with Star Trek and other pop culture themed rooms is on the market for $30M. The nine-bedroom home belongs to Marc Bell, whose portfolio has included Penthouse and Adult Friend Founder over the years. The entrepreneur equipped his one-of-a-kind estate with rooms modeled after the popular TV series/movie franchise, including the bridge from the Starship Enterprise, which serves as the home theater. Designed by architect Randall Stofft, the Mediterranean villa also features a full-scale Borg model, a fictional alien race first appearing in the Star Trek television series. Other details include a Call-of-Duty-modeled video game room, retro arcade, 16 bathrooms, resort-style pool with waterfalls, wine room, gourmet kitchen, and a full basketball court. The Star Trek-themed room shows up at the 1-minute mark of this sales video. (10) HELP ME OBI-WAN. 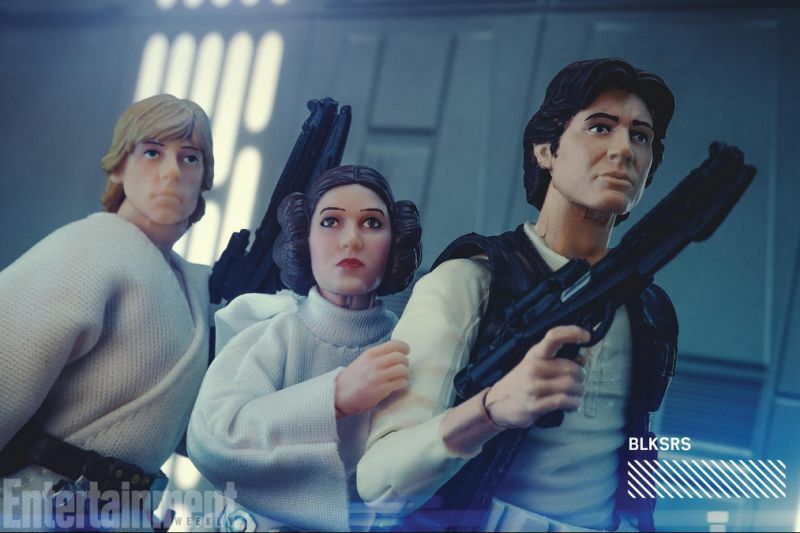 Your wallet may need rescuing after you’ve bought all these — “Hasbro 40th anniversary ‘Star War’ toys recreate classic movie scenes”. Hasbro has unveiled a new line of retro-style Black Series toys for the 40th anniversary of Star Wars this spring. And they’re unveiling them with this series of photos featuring the playthings recreating memorable scenes from the film. Although these new 6-inch toys are much larger than the Kenner originals that hit shelves in late 1977, they are displayed in similar bubble and card packaging — for an extra helping of nostalgia. (Hasbro acquired Kenner in 1991.) Each of the toys retails for $19.99 and will be available later this spring. Above, you see the new Black Series Han, Leia, and Luke fleeing Darth Vader and his Stormtroopers in a scene aboard the Death Star. (11) CAST A GIANT SHADOW. New posts at the Shadow Clarke site. Two more jurors introduce themselves, plus a “guess the shortlist and win the books” competition. The Arthur C. Clarke Award Submission List – and Contest! The Centre for Science Fiction and Fantasy at Anglia Ruskin University is delighted to host a competition for readers to guess the short list. The winner, thanks to the generosity of the Arthur C Clarke Award, will receive copies of all six of this year’s shortlisted novels. To enter, post a comment in reply to this post with a list of six books (no more, no fewer), selected from the list of 86 eligible submissions, along with a rationale as to why you think that shortlist will be the ones which the judges have chosen. Pingbacks won’t be accepted as entries. Shadow juror Paul Kincaid writes about “The Clarke and Me”. That is what makes the Clarke Award great. The fact that it doesn’t conform to genre stereotypes, the fact that it bucks the trend, the fact that it regards science fiction as the broadest of broad churches, and will look anywhere within that spectrum for the best. And that restless, wide-ranging aspect of the award is what gets people arguing about it. And that argument is good, not just for the award itself (though it does keep the award alive in people’s minds), but for science fiction as a whole. Because the more the Clarke Award challenges our expectations, the more it opens us up to an ever wider, ever changing sense of what science fiction is and can be. Let’s face it, the biggest debate within science fiction at the moment is the debate surrounding the Sad and Rabid Puppies, and that debate is all about narrowing science fiction. The Puppies want to enclose and limit the genre, restrict it to a narrow spectrum that resembles the science fiction they remember from the 1950s: overwhelmingly masculine, almost entirely American, distinctly technophiliac, and ignoring the literary changes that have occurred within the genre over the last half century. This is science fiction that repeats what has gone before, that depends upon its familiarity; this is science fiction that is not going anywhere new. Okay, some work that fits within this spectrum can be interesting and important, but it cannot be, it should not be, the whole of science fiction. The best way to counter the Puppies’ argument is with the sort of expansionist, innovative, challenging argument about science fiction that has traditionally been associated with the Clarke Award. Megan AM introduces herself in the time-honored style of faannish punchbowl floaters. I don’t particularly like SF, which is also to say that I am very particular about SF. My relationship to SF has been long, unbidden, unlabeled, and mostly uninformed, and I suspect this is the case for the majority of human beings who are not in fandom, but who have, at some point, been drawn to a kind of storytelling that presents the world in a way that’s different from our reality. Those same folks who are non-fans might not want to read books because they think books are boring (they often are), they don’t read SF because they think it’s dorky (it often is), and they’re not involved in fandom because there’s life to live (though perhaps not for very much longer). I completely get this. Even the term “SF” is relatively new to me: I doubt I’ve ever said “SF” in public, much less “SFnal”; in fact, I’m pretty sure I’ve never said “SFnal” out loud. SFnal. I said it. It echoed off the kitchen walls and it sounded unfamiliar and now I feel weird. So you don’t have to tell me there’s a problem in SF. There are a number of problems, not the least of which are its fannish exclusiveness and its inability to properly recognize itself, its shortcomings, and its potential. SPIELS ON WHEELS. Messy Chic has a cool gallery of old bookmobile photographs.